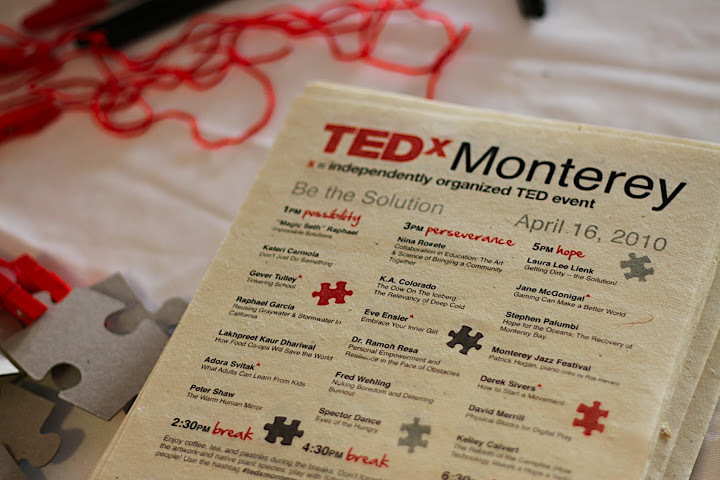 I created print materials for the 2010 TEDxMonterey event, including flyers, programs, and a large hanging sign. I created these items using Adobe Illustrator and InDesign. I also assisted in the creation of the TEDxMonterey website, social media presences, and slidedeck. On the day of the event, I worked the lighting booth. TEDxMonterey was the first TEDx zero-waste event, and thus the programs were printed on plantable paper. Photo courtesy of the talented Ryan Gonzalez.